It seems to me that in a lot of anime (Naruto, Dragon Ball, Gurren Lagann, and Digimon are four that come to mind), characters or creatures who perform an attack tend to shout its name, almost as if necessary to perform such an attack. This seems very counterintuitive—telling your opponent that you're about to use a fireball would open you up to being blocked very easily. It's a tradition where it was intended for young audiences to yell the attack names with the character. The tradition began with Mazinger Z, which is considered the first Super Robot anime. The producers of the show felt that if the main character, Kouji Kabuto, shouted out the attack names each time the mecha did them, then it would give the target viewers, who were aged around 3 to 10 at the time, the ability to literally join along in the fun. The logic behind this is if the kids were to directly interact with a show they already liked, then they'd like it even more and would stick with the show in the long run. Needless to say, the strategy worked, and literally all other mecha anime in the 70's (sans First Gundam in late, late '79) copied the trend. Thus, the tradition was born and still anime shows, regardless of whether they are mecha themed or not, use it, regardless of their target audience. Also, It seems that it was also done to make the shows feel more intense. Something about the characters yelling their attacks just makes the action better. The 1st anime I saw this in was Slayers and it was always cool to see what happens next. Why do anime characters tend to shout the names of their attacks? Most logical answer: "words grant power". It is also used when there is sorcery to be casted. It makes them focus on the attack making the attack work (or work more efficient). The general idea is that such an attack is unavoidable. The attack is of such power that the opponent, even informed about the incoming attack, is never going to be able to stop it. Of course if they do stop it it also means that character is bound to find a new better, improved attack that does overpower the opponent. The major reason they do it for the benefit of the audience. It helps the audience know what the character is doing. 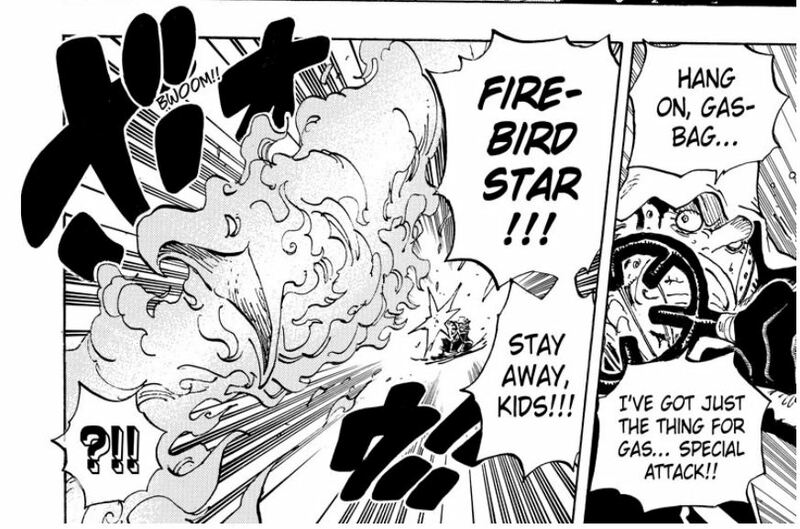 It's more dramatic if the viewer knows that the character is using the "gumgum superduper pistol", than if Luffy just punches someone. The expulsion of intent. Kiai acts as a declaration of your fighting spirit, your internal desire to prevail in those circumstances. This can be for intimidation, self-reassurance, rallying (the war cry was essentially a form of kiai), etc. TvTropes list some relevant kiai in anime and manga and relate its relevance in the West to the martial arts movie sub-genre. All the titles asked by the OP are present in this list. Examples are vows, war declarations, verbal agreements, promises. So, using a basic philosophy of language knowledge and what we had know about kiai, the shouting is as important as the physical action of the character. In manga and anime it doesn't simply describe the act itself but it's a part of it. We identify instantly its importance because we are used to know performative utterances in our social life. I can't find any official sources for how this started, but at this point, shouting your attack name is expected of battle manga/anime which is probably why it continues to be a popular practice. "I don't really like giving names to attacks," Toriyama says. "I don't think the characters would be yelling out the names of their attacks in life-or-death situations. You'd get killed while yelling the name of your attack," he laughs. "But my editor said I'm better off giving attacks names." In an earlier part of the interview, Toriyama also mentions that his editor advised him that having a quiet main character was having a negative effect on the series. This "crowd-pleaser material" that Toriyama mentions ended up being a tournament - probably one of the easiest ways to pack in as many attack names as possible. And Toriyama says that the series' popularity did greatly increase because of this tournament. The idea that words can grant power is a cross cultural phenomenon that shows up frequently in the earliest tales of swords and sorcery. Members of the Sinitic ethnolinguistic family in particular tend to ascribe special importance to the power of written characters, and the belief that special words can invoke control over supernatural power permeates their folklore (just ask your local Shinto, Buddhist, or Taoist practitioner if they've donated to a shrine or temple to have a talisman written lately). The magic power of spoken and written words was also a key concept in Ancient Egyptian religion and Ritual Magic. In terms of realism, this has some ground as traditional and even some current practitioners of martial arts hold the belief that accompanying statements and/or vocal noises alongside execution build up their chi, thereby increasing the power and efficacy of their moves and techniques. Put less spiritually, saying a phrase at the right time during an attack ensures proper breathing. A call used for this reason is known as a kiai. The naming of attacks also served a more practical purpose as many martial arts schools, Chinese ones in particular, used to be secret societies. The passing down of techniques was done orally and giving them esoteric names often facilitated this transmission. Kiai has the potential to startle the opponent and give you an opening. This is also often combined with a spellcaster's Invocation, with the final part of the incantation being the name of the spell, cried out just as the spell is triggered (Spirit of Fire, gather into my hand and incinerate my enemies! FIREBALL!). A character who grows in power will eventually graduate to being able to do the initial incantation mentally, turning the final trigger into this trope completely. A variant has a Combat Commentator recognizing the attacks being used (usually with a line like "That's the legendary such-and-such-and-something-or-other technique!") and explaining them to any other characters watching (and the audience, of course). Another variant, primarily found in video games, displays the attack name on screen as it is being executed, without a vocal "call". This typically happens in games where there is no voice acting; the call is implied. In fact, flamboyant attack/technique names are pretty much a trope in and of themselves. There isn't really a simpler way to let the audience know that Captain Kirk's next phaser blast isn't supposed to kill the alien, or that Judge Dredd's next bullet is supposed to go "boom". Especially in manga, it's particularly difficult to let the reader know what special attacks are used without either motion or color, so having the characters say it is probably the most practical solution. It goes back to into Japanese culture. They're very heavily influenced by bushidō, various martial arts, even their religions (Shintō). The names of things are very important, im assuming it's just the way of the Japanese. Also it is common knowledge that shouting intimidates one's opponent. It's known as the Kiai (a battle cry), it's to channel your energy at the enemy through your attack in Japansese martial arts. You'll see this a lot in anime, from the naming and personification of swords to mechs to spirit energy, internal strength (spirit energy) is channelled through these weapons. Here is an article on it (Calling your attacks).. If you can do something more impressive than just throw a punch, your attack(s) must have an equally impressive name. More than that, you have to call it out as you launch the attack. It doesn't matter if it's a martial arts move, a magical spell or your secret superweapon, if you can't say its name, it just isn't nearly as cool or effective. Also, expect plenty of echoing to come with it, and (if a fighter is feeling particulary bombastic) dramatic... pauses ...WITHAYELLATTHEEND! A standard feature of practically every Magical Girl, high fantasy, or martial arts anime. The article also links to Western culture films that also use this or at least variants of it.. (not sure about animation). Who wants to see a silent fight after all? In kendo we shout the names of the strikes that we are doing in order to release air from our lungs in a particular manner. It's also for judges to know what strike we are attempting so to score us. However, it's unnecessary to say the yell and the strike that goes with it. For example, I come in and strike "dou" and yell "men". As a beginner, it doesn't matter whether I say dou, kote or men, just so long as I say something in order to release the air from my lungs. That is a possible origin of anime characters yelling out their attack. Otherwise you (being an audience) will never know what's on their mind..
Take an example: Naruto, except few jutsus like Rasengan, Multi-shadow-clone which are very familiar, we may not understand the jutsu moves and their names, unless we have them by-hat..
Why would Luffy chant “Gomu Gomu No” every time he is attacking? Is it mandatory to chant the corresponding fruit name for every devil's fruit user? What is the origin of the trope where a person lays on the ground with their “soul” coming out of their mouth? Why do their eyes pop out? What is the purpose served by cicadas in anime? What is purpose of these arm band? When characters take off their glasses, why do their eyes turn into a “lip eyes” icon?